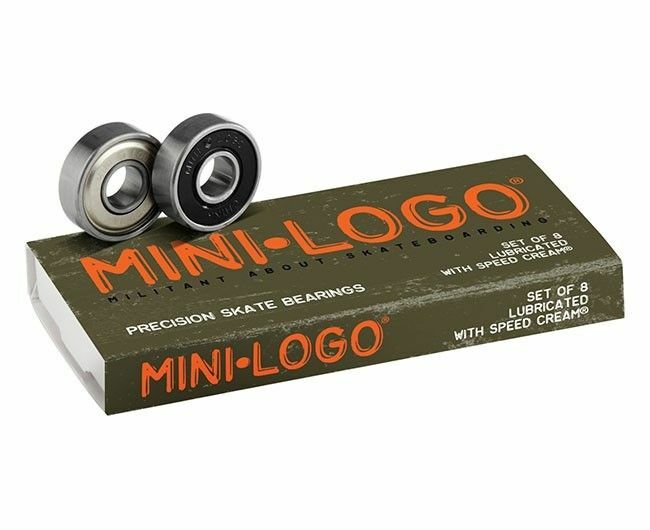 Mini Logo™ precision bearings are Skate Rated to Skate One specifications. They feature removable shields on both sides, high-speed molded ball retainers, and precision-ground, super-finished hardened chromium steel races and balls. For high performance out of the box, they're pre-lubricated with our Speed Cream.